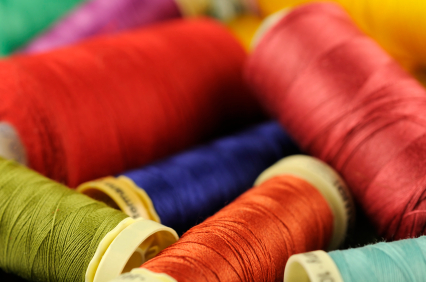 This article is dedicated to those in need of advice to start your own sewing projects. We understand how complicated it can be to make your own craft creations so we have listed some key sewing websites for you where you can get plenty of help and advice, or meet up with other crafty people who will accompany you through your craft learning journey. Visit http://www.thesewingforum.co.uk for craft tips and tutorials. This forum is also great to share your current sewing projects, to discuss sewing techniques, and to get access to other useful links and resources. Free sewing patterns on http://www.freeneedle.com/. Freeneedle.com is a simple directory with lots of wonderful free sewing patterns and other information about sewing and needlecrafts. Tutorial videos on http://www.crafts-beautiful.com/. This site contains lots of information on anything crafty! We particularly like it because of its tutorial videos and its project section. Sewing machine tutorial on : http://www.youtube.com/user/sewmarm or craft idea videos: http://www.youtube.com/user/ShihoMasuda. Being one of the most powerful search engines, Youtube brings together hundreds of videos related to crafts. Looking for craft ideas? http://www.channel4.com/4homes/how-to/crafts with Kirstie Allsop has everything you could wish for to do with arts and crafts! Social Networking for those who love fashion and craft sewing for themselves and their families on https://twitter.com/SewingMamas and plenty of craft ideas on http://www.facebook.com/CraftIdeasWeekly if you need some inspiration!